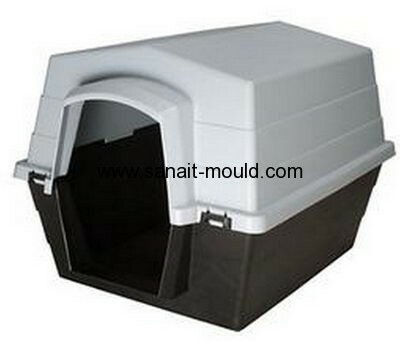 Most die-casting mould design complexity, high cost, so it requires quite a long mould life. The cost of materials and heat treatment in the production costs of the entire casting moulds accounts for only 10-15%, but the overall life of the mould has played a decisive impact. H11(1.2343), this material is focused on the high hardness and high toughness of these two features, in line with many of the requirements of hot work die steel. H13(1.2344), is the standard American steel. With respect to the h11 steel, this material contains a high content of carbon and vanadium , provides increased abrasion resistance, toughness, but relatively speaking, it has been weakened. 1.2367 in the European market was fairly widespread use, the characteristics of this material is significantly improved thermal characteristic mutation. All three martensitic hot work die steel main alloying ingredients are chromium, molybdenum and vanadium, in order to meet today's increasingly high mechanical performance requirements, which are carried out by ESR smelting process. H11 steel to provide the best toughness, 1.2367 steel offers the best resistance to high temperature strength. The former applies to a greater risk of stress cracking when the latter applies to a greater risk of heat cracking occasion. The new German study material kind developed TQ1 successfully combines both high toughness steel and high resistance to temperature mutation. Its chemical composition reflects Europe's most advanced technology research, only contains low phosphorus, sulfur components, and harmful trace elements such as aluminum, boron, copper and zinc index also reached the minimum standards. Through advanced smelting slag re-melting process, so TQ1 reached the highest levels of purity, concentrated the highest toughness and superior thermal fatigue resistance, all of these features ensure the longest life of the mold. Another decision to die life is the ability to convert behavior characteristic of steel, which is the ability to inhibit the formation of bainite. Bainite is a hard and brittle structure, it will lead to large-scale mold core part of the cooling process inadequate, martensite can not form the desired conversion. TQ1 H11 material bainite conversion ratio to 25 minutes later, the heat treatment that is easier. Given TQ1 has good resistance to high-temperature characteristics , the use of mold resistant materials production tq1 much stronger performance than the thermal stress H11 mold during operation and running. And with respect to the H11 mold resistance, high temperature strength TQ1 mold, toughness, thermal expansion and thermal conductivity is also a significant advantage. TQ1 applies not only to both sides of forging bar, also applies to the six sides of a single forging blocks. Dimensional forging process received strong plastic deformation, provides superior isotropic and toughness. forging material but also embodies the advantages of thermal processes. In forging a three-dimensional material , the distinction between the microstructure is much smaller than both sides forging material , in general, this process is based on the size of the user needs to process. Hot steel moold material quality of life not only from the reflected, but from the quality of die castings to reflect.